The Manchurian Candidate Dylan Roof has met his goal. The goal was starting a race war; however the war he got was not the type of warfare that he expected. The warfare being fought is psychological. The first battle is against a symbol that is associated with the South and the short lived Confederate States of America (CSA). Battle lines have been drawn with the objective to remove the symbol of the Confederate flag from the South Carolina (S.C) state capital ground. Lots of opinions and arguments have been flying around concerning the demand to remove the Confederate flag from the grounds of the S. C state capital grounds. Out of those opinions and arguments people’s take on race relations have been thrust into the limelight. I have found that most of the opinions and arguments concerning the symbol reek of ignorance. It’s Ironic that the psychological battle is taking place in Charleston, South Carolina because South Carolina was the first state to secede from the union in 1860. The first battle of the Civil war was fought at Fort Sumter in Charleston harbor in 1861. Now let’s take a close look and see what the represents and what it does not represent. 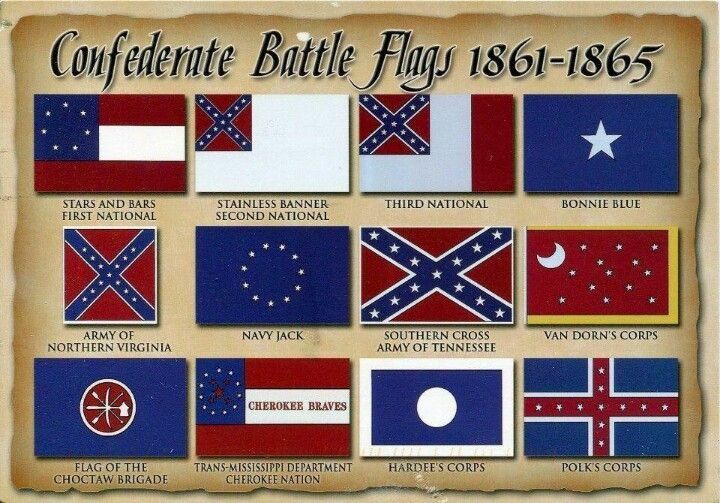 For sure the symbol that is called the Confederate flag was not the flag that represented the C.S.A. There were three official flags that represented the C.S.A. The first one was adopted in 1861 was nicked name the “stars and bars.” Three horizontal stripes of equal height, alternating red and white, with a blue quadrilateral in the canton, inside the canton are white five-pointed stars of equal size, arranged in a circle and pointing outward. 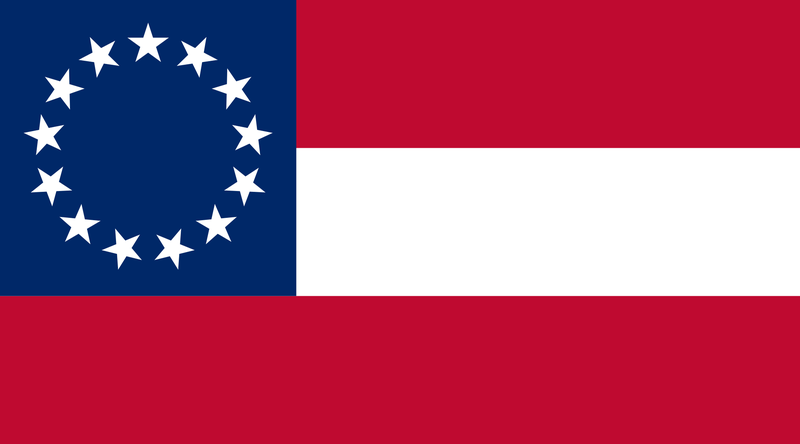 The second flag that was adopted by the C.S.A in May of 1863 was nicked named “The stainless banner.” The design was a white rectangle two times as wide as it is tall; a red quadrilateral in the canton, inside the canton is a blue satire with white outlining, with thirteen white five-pointed stars of equal size inside the satire. The flag that is at the center of the controversial was actually the original battle flag of the Northern Virginia Army which was organized out of various operational units located in Northern Virginia; eventually it evolved and became part of the Confederate Army. The Confederate Flag then became the battle flag of the Confederate Army and carried into battle along with the flags of the regiment, state and company. There have been claims that the Confederate flag is not a symbol of hate, but as of today there are various organizations that list the confederate flag a being a symbol of hate (http://www.adl.org/combating-hate/hate-on-display/summary-view.html?hate_symbol_category=general-hate-symbols#.VY6UsEbQA8I). Even if you Google hate symbols or use any other search method, the result will always list the Confederate flag as a hate symbol. Historical the Confederate flag have been carried by hate groups participating in their work terrorizing people. It doesn’t matter what the Confederate flag supporters say, there is a historical basis and an overwhelming consensus throughout the world that the Confederate flag is a symbol or hate. In today’s context the use of the Confederate Flag by non-extremist groups such as the Sons for the Confederate Veterans does not mean that it is been used as a hate symbol. It was adopted as a symbol of heritage by these types of organizations. There are areas in virtually all the Southern states where the flag is still a prominent feature, flying as if it represents the South. Now that we are clear of what the Confederate flag represents, and what it does not represent. Pick your arguments wisely. 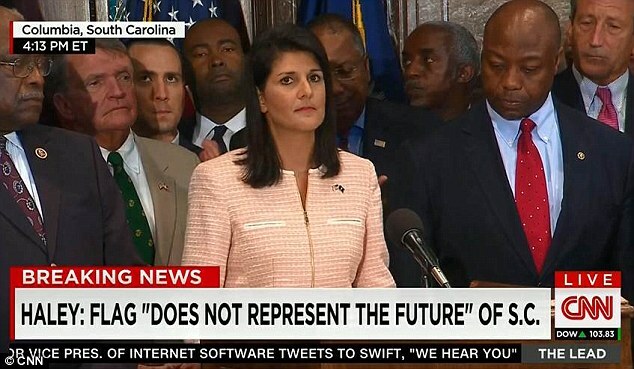 It does not represent the United States of America so the Confederate flag has to go. Amen! The Confederate battle flag does not represent the United States! In fact, it represents a defeated enemy of the US, if one wants to be technical. I have been aghast that this symbol has remained on our public institutions for so long! I think that too many of us have remained quietly ashamed. Edmund Burke stated it best: “The only thing necessary for the triumph of evil is for good men to do nothing.” I’m glad good men and women have stood up. For those who want to argue that it is not a symbol of hatred, merely the symbol of a way of life, the way of life it represents was dependent on the subjugation and denial of personhood of an entire race! That is abhorrent! Americans should be embarrassed by this part of our past, not wearing it on our t-shirts and painting it on our trucks. And, yes, I’m from the South.